Shocking evidence of conditions akin to slavery on trawlers that provide fish for European dinner tables has been found in an investigation off the coast of west Africa. Forced labour and human rights abuses involving African crews have been uncovered on trawlers fishing illegally for the European market by investigators for an environmental campaign group. The Environmental Justice Foundation found conditions on board including incarceration, violence, withholding of pay, confiscation of documents, confinement on board for months or even years, and lack of clean water. The EJF found hi-tech vessels operating without appropriate licences in fishing exclusion zones off the coast of Sierra Leone and Guinea over the last four years. The ships involved all carried EU numbers, indicating that they were licensed to import to Europe having theoretically passed strict hygiene standards. On some vessels the crews of up to 200 had little access to clean drinking water. 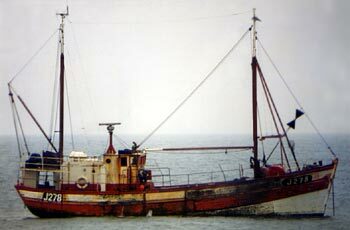 The trawlers have mostly been identified engaging in pirate fishing off west Africa. Many of the men on board have been recruited from the area around the Senegalese capital, Dakar. Others have been recruited from rural areas of Asia, including China and Vietnam, by agents. According to a recent estimate illegal fishing accounts for between 13% and 31% of total catches worldwide each year, but accurate figures are hard to come by. Investigators for an environmental group discovered slave like conditions aboard ships fishing illegally off the coast of West Africa. These conditions included violence, confinement and withholding of documents. The ships were fishing in restricted areas and while they did not have licenses to fish there, they did have licensed to sell fish in European markets. The men had little if any access to clean water and were often in confined spaces where the temperature would reach over 100 degrees Fahrenheit. Many of the men were recruited from Senegal but some also came from Vietnam and China. It is still unclear what will happen from here. For example will the men be able to bring charges against the ship owners and if so where, since at this point (at least for the public) it is unclear which flag the ships were flying under? This is one interesting situation of human trafficking involving unclear legal jurisdictions.